From sand dunes and mountains to plateaus and farm land, and from cars to copper, Michigan has it all. Ask a Kent City third-grader if you want to know more. 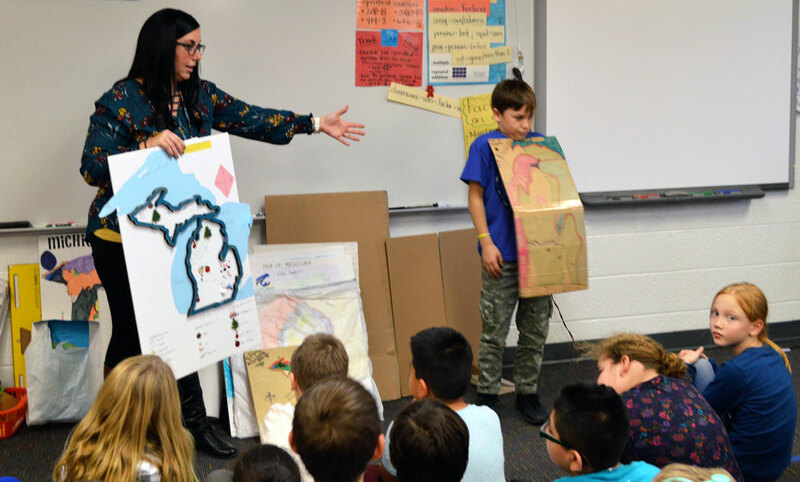 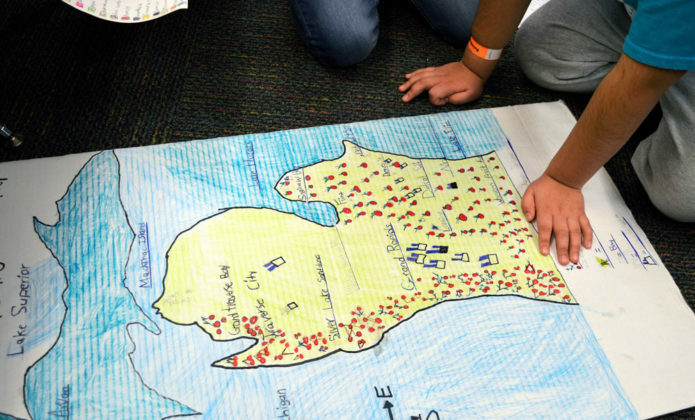 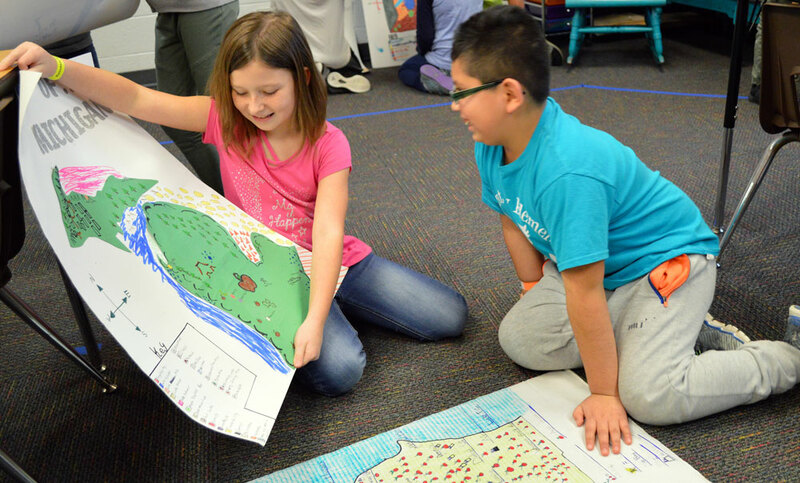 Recent lessons In Monica Moore’s classroom included studying the shape of both the upper and lower peninsulas, natural resources and major industries found in the state, landform descriptions, locating cities and bodies of water including the four Great Lakes surrounding Michigan. 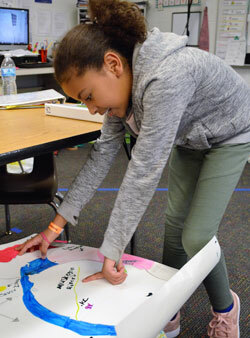 Students were sent home with a checklist of items expected on their finished project, but then were on their own. 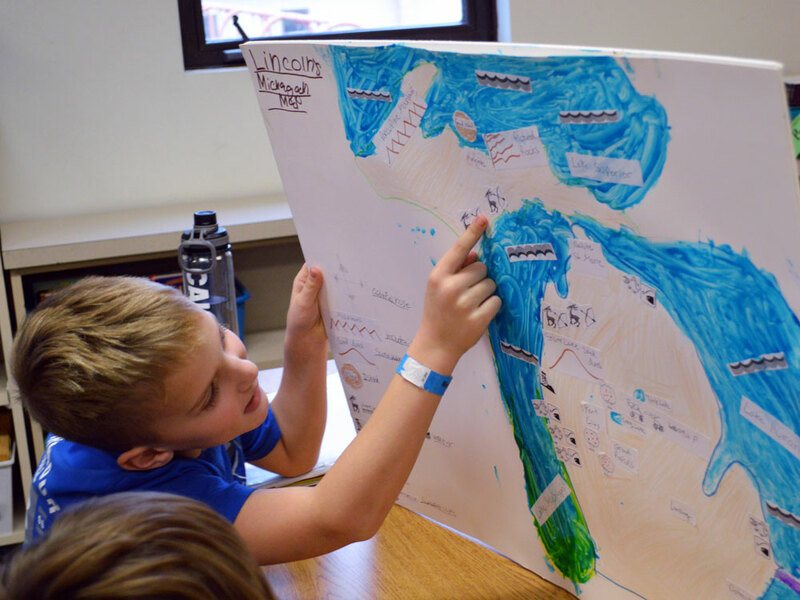 Actual map-making was left to individual creativity. 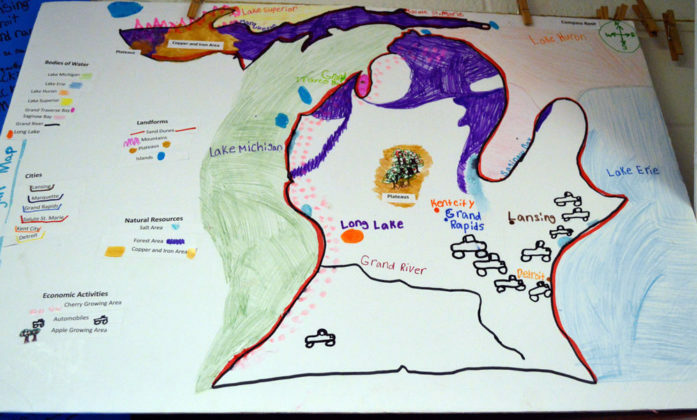 Mitten shapes were constructed from or drawn on cardboard boxes, presentation poster board, wooden frames or construction paper. Each mapmaker chose what he or she wanted to highlight. With a requirement of two different kinds of bodies of water, not including the Great Lakes, some chose nearby rivers, such as the Rogue, and local lakes including Long Lake, close to where they live. 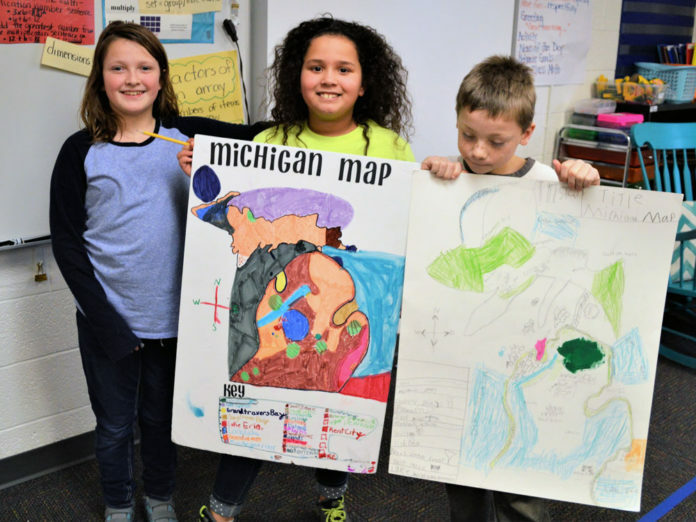 Many of the maps showed Grand Rapids and suburbs to the north, most included Detroit and all identified the state capitol in Lansing. Some made topographical maps with added details such as artificial greenery, rivers constructed from blue pipe cleaners, forests made of sticks and one sported a small metal car glued firmly near Detroit. 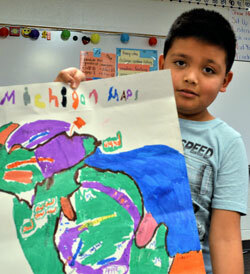 “I really didn’t know that you could find copper in Michigan,” said Aiden Kamphuis. 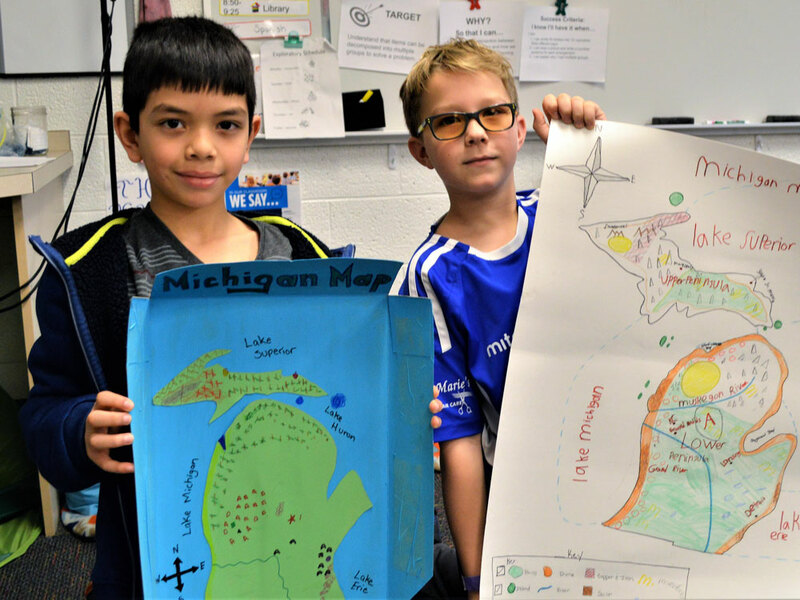 Both Sebastian Barera-Villa and Tristan Wilson said they found it interesting that there are sand dunes all around the edge of Michigan.